The discussion over the money needed for a wedding is never easy. Asking your parents for financial help of any kind is often packed with all kinds of uncomfortable connotations like responsibility, independence, obligation, power, class, and privilege. When you add something as emotionally charged as a wedding to the money conversation, it can be a tinderbox. Factor in stepparents, cultural differences, and economic instability, and it can seem impossible. Avoiding the wedding money talk won't magically make everything okay. In fact, one of your first planning tasks is to figure out your budget, which includes how you're going to pay for everything. Since each family dynamic is different, there's no one-size-fits-all approach to having the money talk. When you need to ask your parents for wedding money, there are six general ways you can approach it. Most parents love being asked for advice, and it might surprise you how much of that advice is invaluable, even when it's not quite what you want to hear. After you've created your wedding budget, ask your parents to review it with you. Share with them what you've found regarding average costs in your area, the choices you'll make to save money, and how you plan to pay for everything. This conversation creates a natural and easy way for your parents to say, "We were planning to contribute." If they don't speak up, you can assume that they are unable to. This is also a good way to get everyone speaking the same language, so they'll understand why they can't invite 50 people to your small and intimate ceremony. Since even the most tightly-controlled wedding budgets have a way of growing, parents might feel uncomfortable with agreeing to pay for "half of the wedding" or another non-specific commitment. 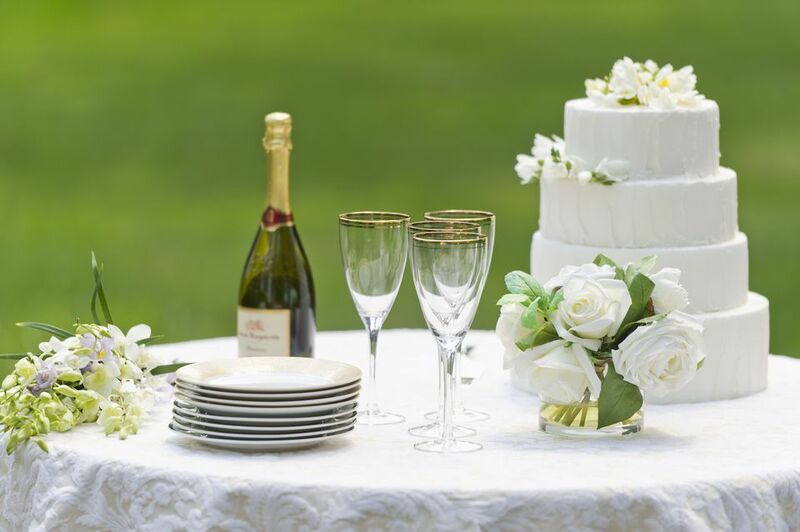 Instead, you can ask them to pay for one discrete portion, such as your dress, the flowers, or the rehearsal dinner. You might ask them for something they have a particular connection to. For example, you might say, "Do you want to help us pay for the wedding? We thought you might be particularly interested in helping us with the flowers since you know so much about flower arranging." That then gives them an area that they can feel ownership in, rather than just becoming an ATM. Or, you might say, "We've found a reception venue that is absolutely perfect for what we want. Unfortunately, it's more than we had budgeted. We wondered if there's any possibility that you could help us with the difference." In some families, it's taken for granted that the bride's family will pay for the majority of costs. Your parents might even have a separate bank account where they saved for this big day. But don't be the spoiled brat who just assumes this to be true: it's not only obnoxious, it also often leads to disappointment. The better approach is to be direct and to the point: "Will you be able to pay for our wedding?" If your parents say yes, they were planning to pay for it, it's appropriate to ask what size budget they had in mind. If they say no, tame your inner brat and don't get upset. It's a gift, not an obligation. When you have divorced parents, stepparents, and other kinds of blended families, money woes can add to already existing tensions. To make things fair, you might say to each parent, "We're asking each of our parents to contribute 1/5th of the wedding budget. Is that something that you will be able to give us?" This is perhaps the most natural way to do it. Simply ask, "How do you want to be a part of wedding planning?" If they don't bring up money, you can add, "Would you be able to contribute financially?" This also helps avoid hurt feelings by making sure your parents are present for the parts of planning that matter to them most. It's no secret that each wedding guest adds costs to the wedding, and parents often want to invite more people than their children want them to. You might say to your parents, "We're starting our guest list, and we wanted to see who you'd want us to invite. There's room for each set of parents to invite up to 30 people, however, we would ask you to cover the costs for those guests. Right now, our catering estimate is $80 per person." You will have to determine if you're asking them to cover costs for family members, or if it's limited to friends and business associates. Each of these approaches come with pros and cons, and a certain relinquishing of control. Some parents will respond well to the direct approach, while others will hate it. Some will resent being asked to pay for their guests, while others will see that as an extremely fair option. You should choose the one that's best for your family and situation. And, no matter which tactic you choose, be polite and respectful, while still being clear and setting boundaries.